I'm sorry- I know I have been seriously neglecting my blog lately. To be totally honest, i just feel a little overwhelmed these days, and when I get home from a long day at work, or have a few days off with my boys, I just want to be around them- not in front of a computer. (OR if I am in front of a computer, I want to be doing something mindless, like watching America's Next Top Model!) I also have been feeling a little uninspired lately, but I promise there will be some good updates over the weekend- many fun things are on the agenda and I am so excited to have FOUR days off this weekend! 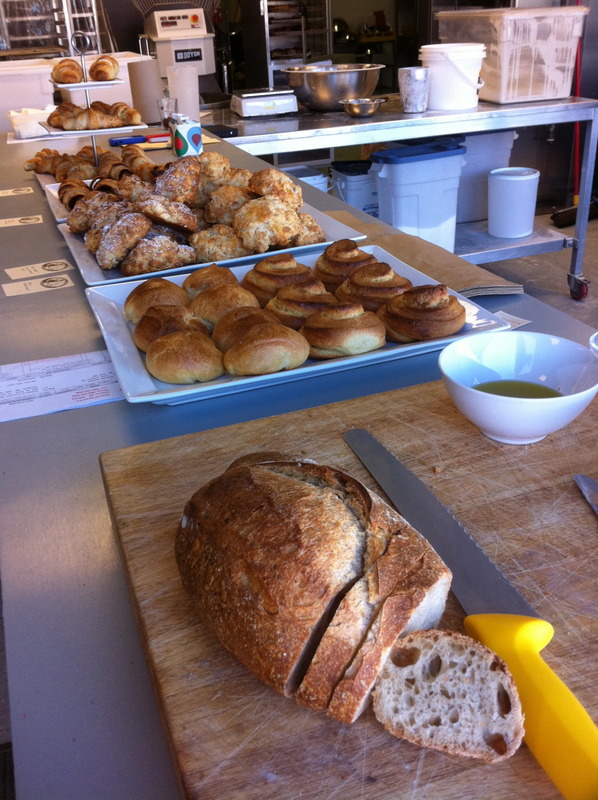 Tomorrow is Earth Day, so we are planning on digging our the Chariot and heading for a big walk over to my most favourite baker- Sidewalk Citizen Bakery to pick up some scones and other treats - 5% of his sales are being donated to my organization, Green Calgary, for Earth Day! Dying Easter Eggs with Finn! Using natural dyes- things like blueberries, beets, coffee and yellow onion skins. My Grandma always makes eggs with yellow onion skins- as a child, she would come over on Easter Sunday with warm, freshly cooked eggs and tell us sweet stories of how the Easter Bunny had just come by and left fresh eggs for us. We always loved that and its something I want to share with Finn. 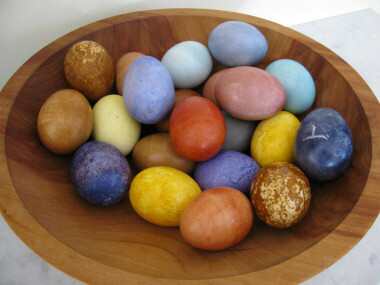 My favourite magazine, Mother Earth News, has some great recipes for dying eggs HERE. Also, one of my favourite blogs, Sappy Apple, also has some beautiful pictures of her adventures with natural egg dying here! A wonderful family dinner at my Grandma's on Sunday- Always a delicious meal and a fun opportunity to reconnect with cousins we havent seen for a while. Shoe shopping! I have a bit of money that I was sent for my birthday, and really want a new pair of springy shoes! Going to my favourite crystal store. I need a little pick me up, and a new crystal will do just the trick. My sweet friend Lana and her little munchkin, Ivy, are in town from Vancouver so we are hoping for a buddy playdate! I havent seen Lana in far too long and I always have such wonderful and thoughtful conversations with her- it would definitely top off an already awesome weekend!